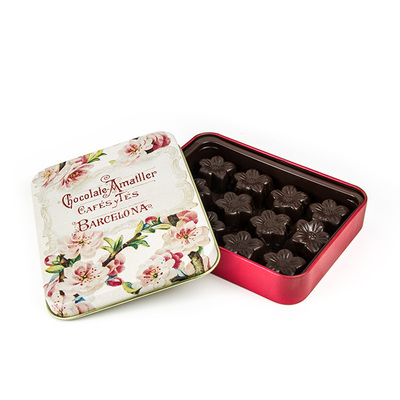 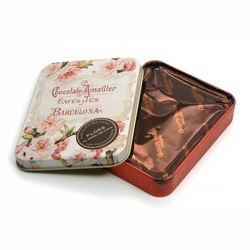 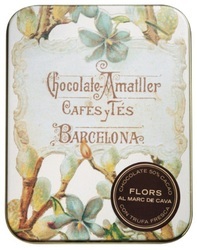 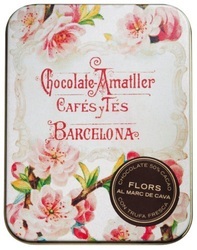 Dark chocolate Truffles by Amatller Chocolate. 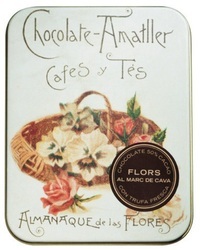 A very subtle delight. Ideal to take with a cava with fine bubbles and parenting, or Porto. A truffle interior made with Marc de Cava, covered in 70% cocoa dark chocolate. Marc de Cava is the result of the distillation and further aging of certain elements of the grape used to make cava. 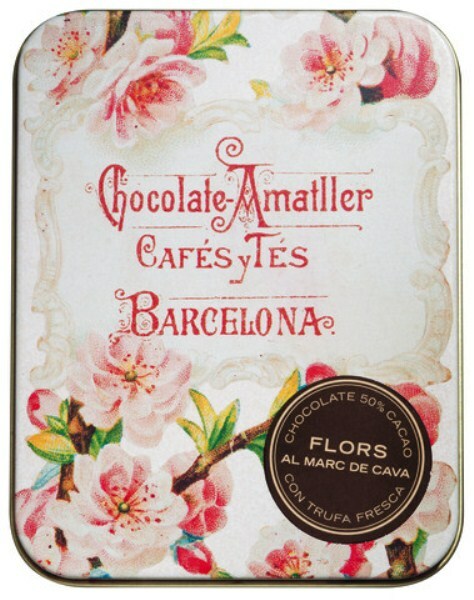 The result is a combination that is fresh and light but with character, which brings together the volatile freshness and woody taste of Marc de Cava with the toasted notes and creaminess of cocoa. 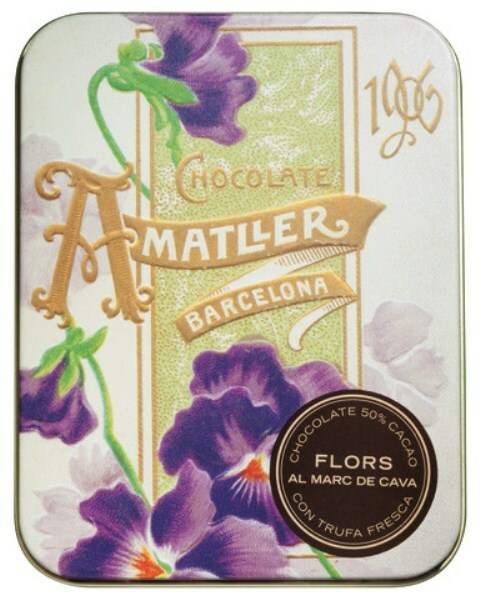 Presented in assorted metal boxes whose design features old promotional objects from the Amatller brand. 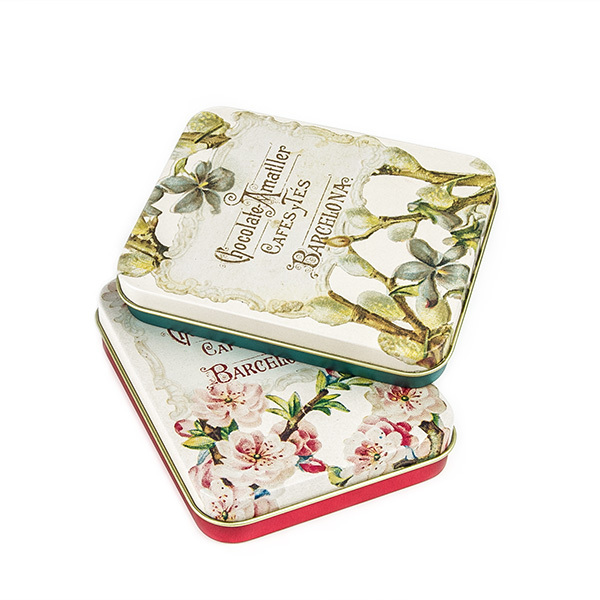 Also available in 10 Tins display or Presentation Tin of 20 Tins.